Unless you had a hearing loss or deafness from a very young age, yet born to hearing parents; this may not fully make sense. The relationship between a family member and I has taken a strange turn in the last few months. This person has entered my world. Now fast forward. In August 2014, this relative went from a mild hearing loss to deaf in just a few days. And of course she was greatly bothered by this, and scared. She said she thought she understood hearing loss, now realized that she never had a clue. Now I find myself in an odd role of leading her through ‘the world of not-hearing’. She would say this and that, and I would answer back, “I know. That’s normal”. She complains that nothing sounds right. She has a difficult time understanding people. So I sent her some of the articles I have written in this blog to help her out. As time goes on, she is going to learn a lot about my world. I know from being with others who have grown up with a hearing loss, my experience is very typical. So now what? I have never thought of myself as disabled because of my hearing loss, and I still don’t. She is experiencing a great drop in audio volume. Once she gets her cochlear implant the volume will be high again, however because of the implant her audio processing ability be different than ever before. At that time her hearing will most likely be much better than mine again, but because of her new audio processing difficulties she may need me to help her adjusting to her new world. The world I have lived in for nearly 60 years. Could I be of service? I don’t know. 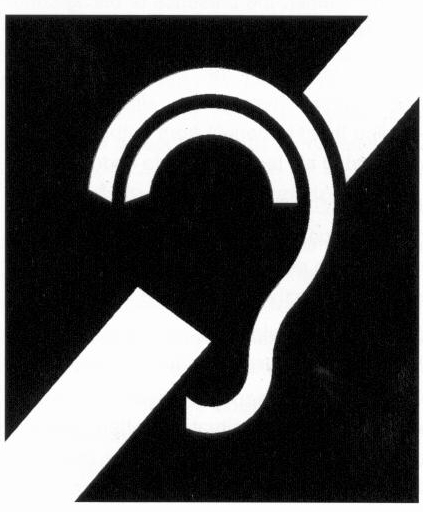 To me this so strange because in my mind, I am not disabled from hearing loss.